Beautifully hand turned and carved. Complete with a stunning 22 inch (56 cm) board. 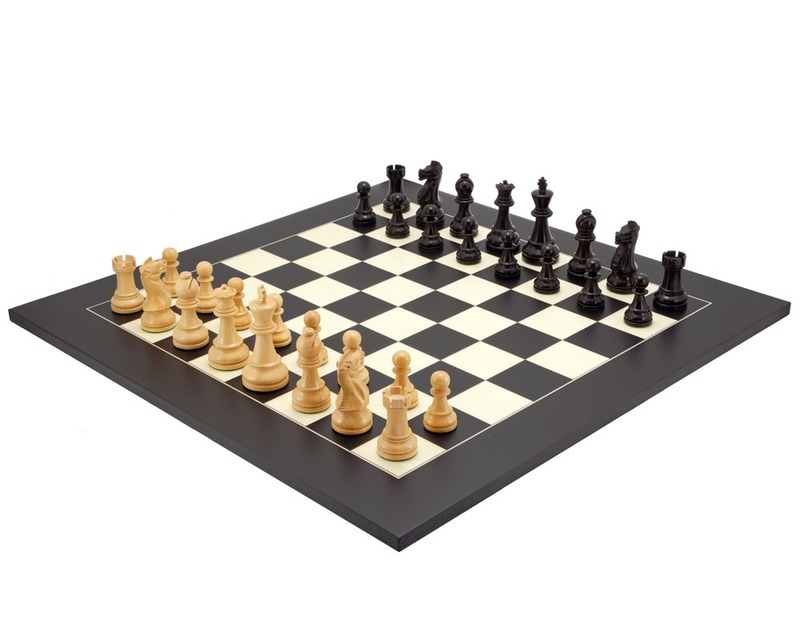 An amazing value large chess set combination that puts together some of our most popular chess pieces with a Spanish-made board. 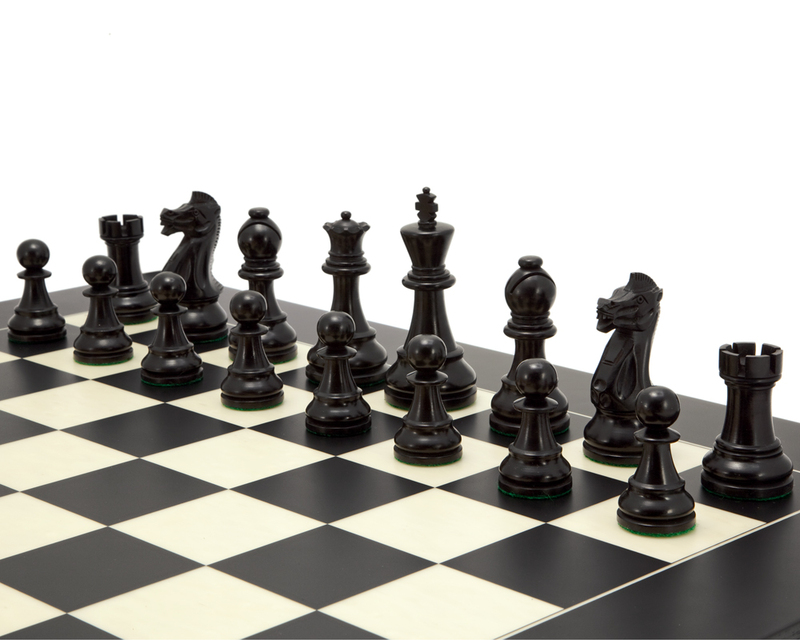 The Frankfurt pieces are substantial with a king height of 4 inches (102 mm) and are based on the classic Staunton design. 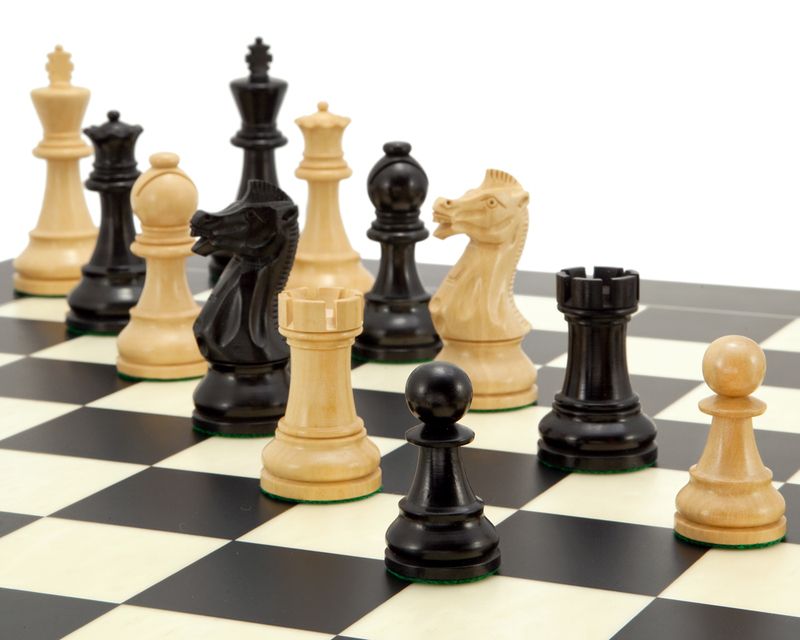 These are simple yet elegant chess pieces, with detailed carving of the knights that is rare in this price range. 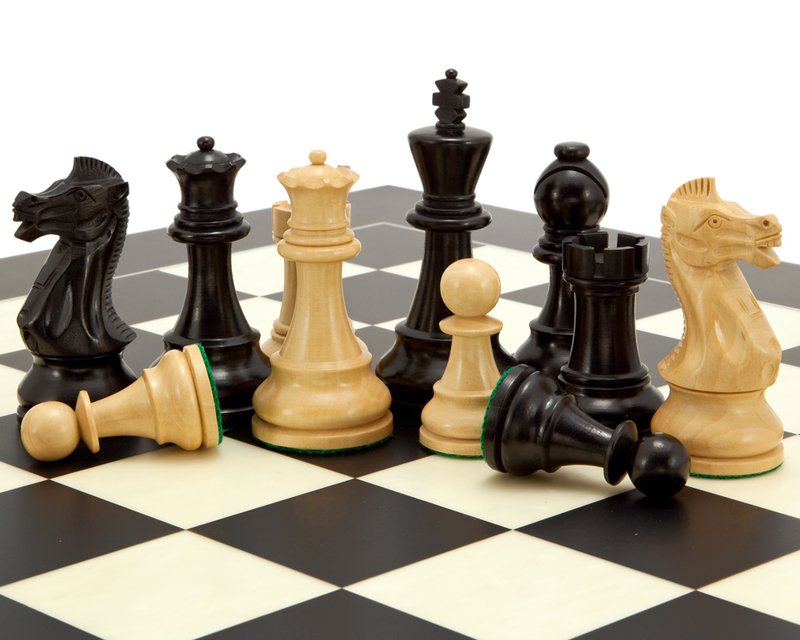 Once they have been hand turned and carved by our partner craftsmen, these pieces are then coloured in the recognizable black of traditional chess pieces. 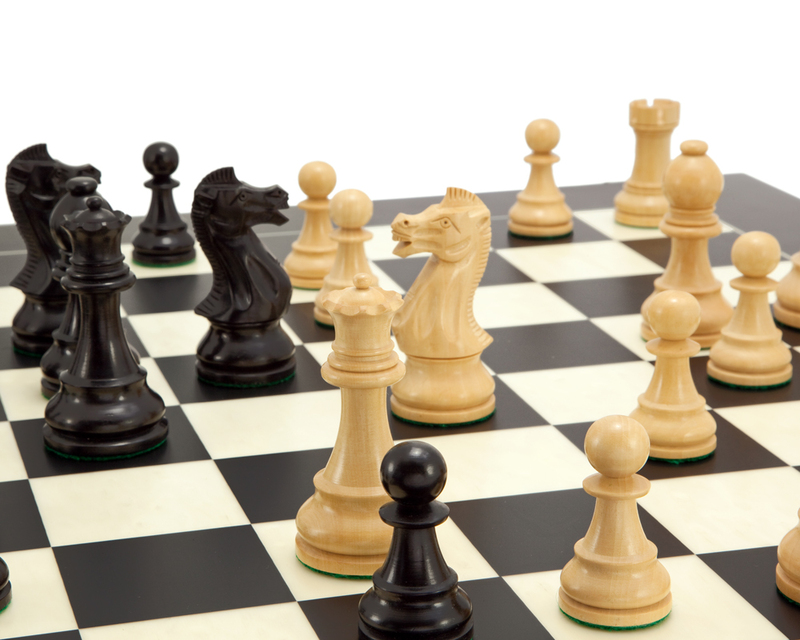 Accompanying the pieces is a superb large board in a veneer design, manufactured to exacting tolerances. 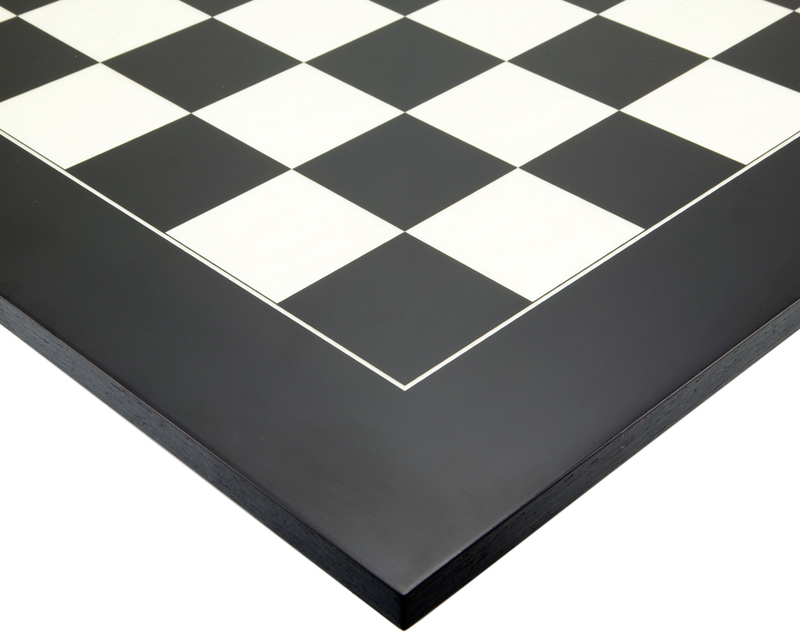 The black printing is provided using the latest lithographic techniques which result in an ultra sharp contrast between the squares. 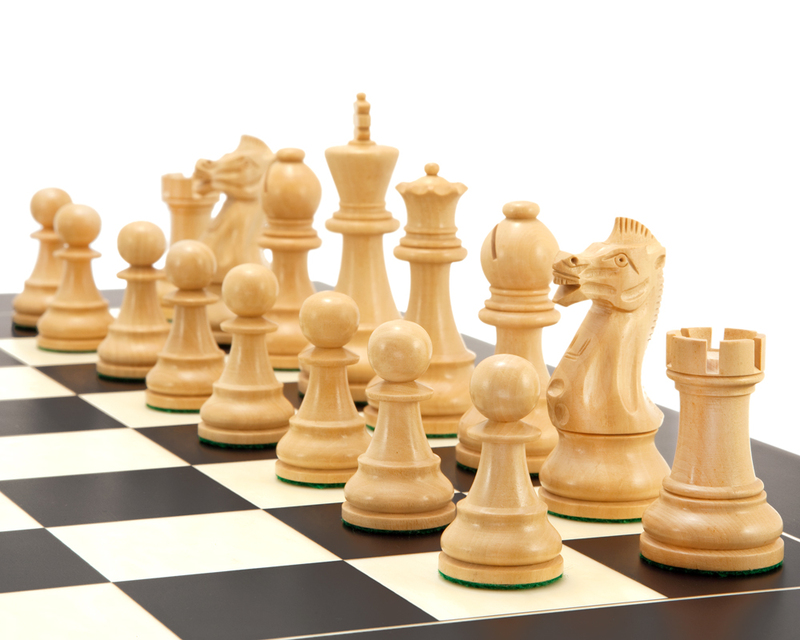 Save money by buying this bundle and look forward to enjoying a chess set that boasts a quality and aesthetic beauty that few others at this price possess.